We have a good feeling about this, Star Wars fans! Some very exciting news regarding Star Wars: Galaxy’s Edge was announced by Bob Chapek (chairman of Disney Parks, Experiences and Consumer Products) this past weekend at D23‘s Destination D: Celebrating Mickey Mouse at Walt Disney World Resort. Since the Star Wars park expansions for Disneyland and Disney’s Hollywood Studios were first announced in late 2015, fans have been on the edge of their seats, eagerly waiting for more information. One of the weekend’s special announcements revealed two major attractions, which will be up and running on opening day at both parks. The first is called ‘Millennium Falcon: Smugglers Run’, and it will allow guests to participate in one of three unique flight crew roles while hurtling through the galaxy at lightning speeds. The second attraction, which is named Star Wars: Rise of the Resistance, will place guests on the front lines of an exhilarating battle between the First Order and the Resistance. The other announcement was not geared toward revealing something exciting for fans to see, but rather something incredible for them to hear. It was revealed that Oscar-winning composer John Williams will be composing a brand-new, original set of Star Wars themes exclusively for the parks. 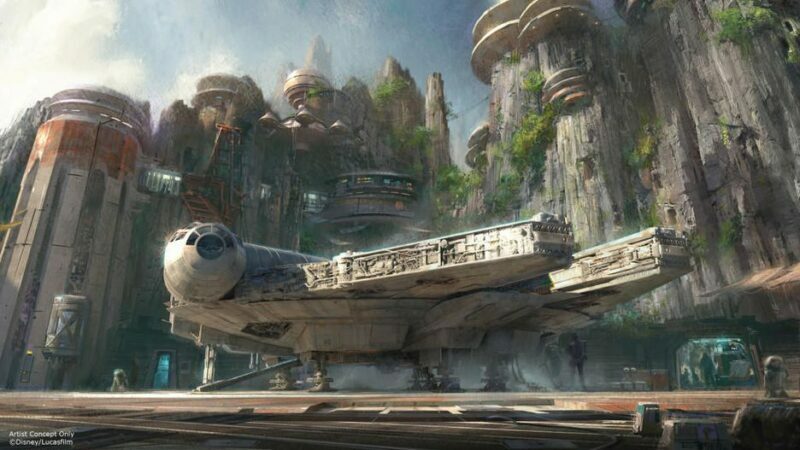 Star Wars: Galaxy’s Edge is set to open at Disneyland in the summer of 2019 and at Disney’s Hollywood Studios in the late fall. Which park are you planning to visit? Let us know in the comments!